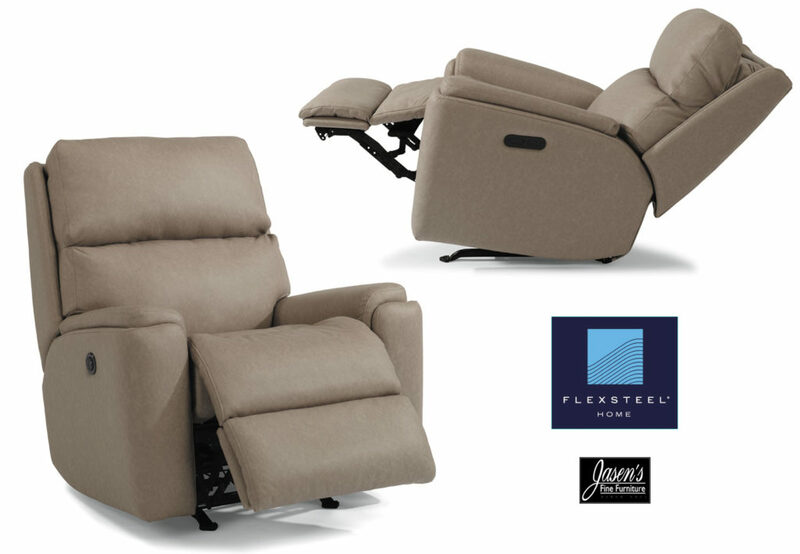 Flexsteel Rio recliner chair features modern tailoring and styling as well as great comfort. The Rio is a unique chair with it’s layered track arm that highlights it’s lines. The chair is available in multiple mechanisms to ensure anyone can find the right feel! Mechanisms that are available on the Rio include rocking, wallhugging, power recline, power recline with power headrest, and swivel glider recliner. The recliner can be ordered in 100’s of fabrics of your choice.